Krydser fingre for at Sven & Co. har fundet en juvel for os. Last edited by peterdebel on 11. Jul. 2018 13:15, edited 1 time in total. 4 årig kontrakt til 7 mio. £ årligt. 19 år og 185cm høj. Fransk/Marokaneren fra PSGs ungdomsakademi som via Lorient, ender hos os og som skulle minde om Rabiot/David Luiz som Arsene var en stor beundrer af, men aldrig fik tilknyttet. Guendouzi har spillet fra start i alle vores træningskampe , så Emery er ikke bange for at teste teenageren. Syntes også ham har spillet rigtig godt iaften mod Chelsea! Ja, en af vores bedste mod Chelsea. Spilleren siger selv at han håber at få nogle kampe hist og her og byde sig til. "Yes, I hope to play, that's true but this is a big squad, but it's only the start. Hopefully this will be a big adventure with Arsenal. It's a question of working, working, working, and afterwards the coach will make his choices. But I hope to play a few games." Matteo' seneste ligakamp var for Lorient mod Valenciennes i den franske 2. Division med samlet 8000 tilskuere. Nu starter han inde i årets første PL kamp mod Man. City foran 60.600 tilskuere..
Starter inde i nederlaget mod Mancester City og går ind og dominerer midtbanen som om han havde spillet tre-fire år for os. Det ser lovende ud med hans boldomgang. Går uimponeret til værks og viste de vores andre spillere, især Granit, hvor enkelt og behersket spillet kan spilles. Det her er et udemærket read om vores nye unge midtbane mand. "It was the biggest decision of Matteo Guendouzi’s life. It was the start of this summer and the 19-year-old needed to choose what type of environment would help him to grow, at which football club would his future would take place. It had been a difficult season for him, playing in patches for FC Lorient in Ligue 2 but falling out with manager Mickael Landreau and often being left out of the team. He could have played for France at the European Under-19 Championship in June, but he wanted his future finalised instead. Not many teenagers from that position would have their pick of Europe’s top clubs, but Guendouzi is different. Borussia Dortmund, the great talent nurturers, had followed him for some time. So had Paris Saint-Germain, who wanted to buy back the player they released four years ago. But Guendouzi only wanted Arsenal. Sven Mislintat and Unai Emery had both sought after him with their former employers, and when Arsenal first approached Lorient, the French side knew they were serious. £7.5m later he was an Arsenal player and on Sunday Guendouzi made his Premier League debut at the Emirates against Manchester City. Up against the Premier League champions he looked out of place one moment then comfortably at home the next. He was brushed aside by Raheem Sterling for City’s first goal, but provided more midfield creativity than any of his team-mates. Assured and incisive in possession, he already looks like a more gifted deep-lying passer than Granit Xhaka. It was a performance that underlined Guendouzi’s promise but also his lack of experience. He had only started four top flight games in his life before this one, and had never truly established himself in French senior football. And yet to speak to anyone who has worked with Guendouzi at Lorient is to hear of his unusual talent, and a temperament to match. Guendouzi is not from Brittany but from Paris, from the suburb of Poissy, and he was in the PSG academy as a boy. But they released him at 14 and Lorient, who had just set up their own academy, picked him up. He quickly impressed with his natural ability on the ball, as well as his enthusiasm for the game. His gifted younger brother Milan soon followed. Like any very talented youngster, Matteo was the best player in every team he played in. “Each time he is tested at the upper level, at U16, U17, U19, each time it took him only a few times to become the boss of the team,” Fery remembers. Guendouzi inspired Lorient to win France’s under-17 tournament in 2015, a first for the club, and a vindication for signing him. Guendouzi impressed in his league debut against Dijon but Lorient lost in the last minute and Ripoll was sacked. Guendouzi started the next two Ligue 1 games under a caretaker but that remains his best run in the top flight. Because things did not go so well with his replacement Bernard Casoni. During the winter break Lorient staff decided that Guendouzi should feature more in the second half of the season. 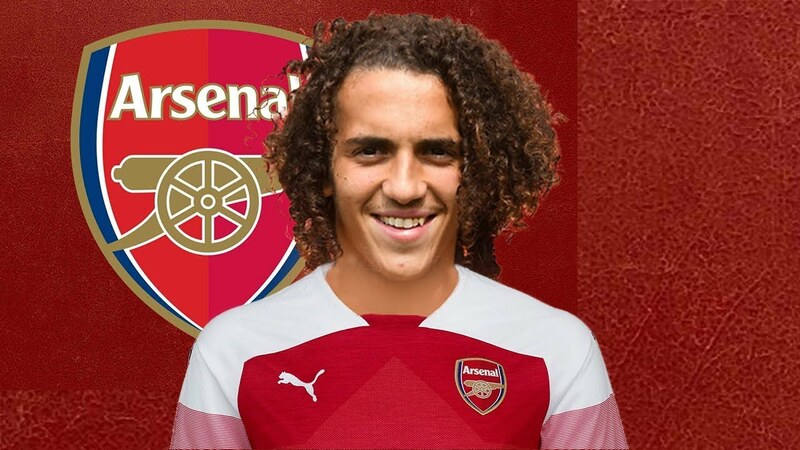 “During the Christmas break we had a meeting with Casoni and decided that no matter what, we should use Guendouzi,” says former vice-president Alex Hayes. So Casoni brought Guendouzi back in to start a cup game against Nice on 8 January. He was booked after just 12 minutes but kept flying into tackles and the referee told Casoni that if he did it again he would be sent off. After one more lunge, Casoni had to take Guendouzi off on 55 minutes, and the 17-year-old stormed off refusing to shake his manager’s hand. He only made one more appearance that season, as Lorient were relegated. Last season Lorient were in Ligue 2, with new manager Mickael Landreau, and 18-year-old Guendouzi had a fresh start. He started out of the team but forced his way into it and was enjoying a good run when a row with Landreau at half-time during a game against Valenciennes in November saw him dropped from the team. He did not return to a match-day squad for three months. By this point it was clear enough that he was leaving, having decided not to sign a new contract and with Juventus among his first suitors. Not every manager who has coached Guendouzi has had a problem with his attitude. He has shone for France at U-18, U-19 and U-20 level after turning down the chance to play for Morocco. Ripoll, who is now coach of the France U-21s, says that he never would have picked Guendouzi for Lorient if his attitude was wrong, and was very complimentary about his “passion” for football. He just has to feel loved and trusted by managers, Ripoll says, and to channel his emotion the right way. Statistik mod Chelsea i 1 halveg. Han er simpelthen en for fed spiller. Håber han bliver Xhakas dødsstød. Flotte ord vores nye stjerne får med på vejen. Men den aflevering han slog til Aubameyang, som udløste hans assist til torreira var også verdens klasse. Jeg er en stor fan af Guendouzi. Og håber han bliver endnu bedre i fremtiden. Men hans dive i lørdags ønsker jeg ikke at se mere. Det er dårligt for ham selv, Arsenal og fodbold.